Leadership is primarily a relational activity. 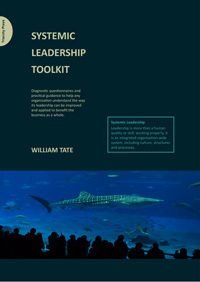 How can an organisation ensure it gets the leadership it requires to be well led as a whole? Many organisations find this a challenge. Think banking, ‘unfit-for-purpose’ government departments, failed high-street chains. Think Stafford Hospital, BBC, Costa Concordia, News International. The cry for better leadership seems endless, to those inside as well as outside, customers and society. Even after training and development, leveraging leadership to improve businesses and institutions can’t be relied upon. Capability is sometimes applied unwisely, self-interestedly, or is blocked or withheld. Explanations and obstacles abound – fear, hierarchy, bureaucracy, targets, abuse of power, hubris – but they receive little systemic attention. Stronger leaders? – well, they may have more authority but less knowledge about a given situation. Their single perspective on an issue may benefit from other, multiple perspectives. The leader’s most valuable role may be to identify the right questions and the right people to contribute solutions, rather than to provide the right answers. Just what is leadership for? By whom? Is it sufficiently distributed? What should earn a bonus? Questions like these are less about the leader and more about the system: the leadership system. Questioning leadership from the organisation’s end generates different answers than if you ask about a leader’s qualities, skills, behaviours or training. 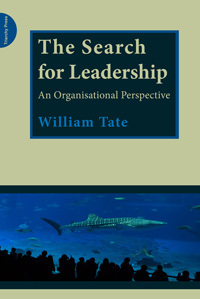 If an organisation is likened to a fishtank, we notice the fish more easily than what they are swimming in. Yet the quality of the fishes’ surroundings accounts for as much as 80% of their behaviour. Being able to do doesn’t mean that people will do. They may not want to or be allowed to do. Sometimes the system discourages or seems closed to improvement, in spite of rhetoric and investment in leadership. Spending on fish may be wasted if the water remains murky. Leadership is primarily a relational activity. Unleashing its energy calls for systemic intelligence. What is affecting what? Where are the gaps? What is happening in the spaces? Who has and who lacks power? How does the hierarchy work? Where is cooperation in short supply? Where are silos tolerated? What are the politics? Too often the whole is less than the sum of the parts. Developing parts in isolation rarely bonds the parts – to each other, to the business’s goals and future, to ethical responsibility. Often the system fails in spite of good individual leaders. We find brilliant doctors and compassionate nurses yet failing hospitals and poor standards of care. Workers condemn their organisation while praising their colleagues, rarely the other way round. Something’s amiss in what the organisation surrounds managers with. If management delivers results against today’s imperatives, leadership questions today’s ways so that tomorrow will be better. Leadership is awkward, but if the organisation is not to spit out the grit that challenges the status quo, provocation needs nurturing. It takes leadership courage, both to question as well as to hear. So if you want the ‘fish’ to show some leadership, the organisation needs to think about what it needs leadership for, how it will recognise it, how it will be released, focused, combined, and held to account. Even what will stop leadership being applied. These are questions about leadership as a process, about leadership culture – ‘how leadership works around here’. Put another way, we need to learn how to manage leadership. It won’t happen by itself. It’s the system wot done it.